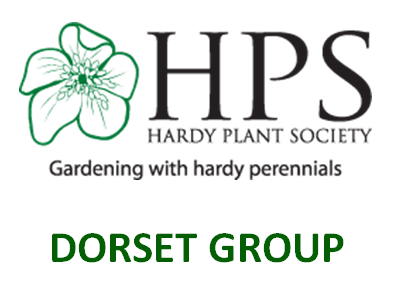 Our 9th annual holiday - to the "Midshires"
We have selected some very special gardens for our holiday in this the 20th year of Dorset Group. There is a manor, two old vicarages, two old rectories and a walled garden plus a well-known nursery, two fabulous private gardens and Geoff Hamilton’s Barnsdale. They are spread throughout the counties of Northamptonshire, Leicestershire, Nottinghamshire and Rutland. Best Western, Rockingham Forest Hotel, Rockingham Road, Corby, England, NN17 1AE. Tel 020 3027 9806. The Hotel is within walking distance of picturesque Rockingham Village which is set on a steep hill with several small shops and cafes, below Rockingham Castle which dates back to 1070 (paid entry to castle and gardens). Our first stop is The Old Rectory at Sudborough. Rather than the usual packed lunch on our first day, lunch will be included at the first garden. It is a charming 3 acre village garden, situated next to a church, including extensive herbaceous borders, a rose garden, gravel border and highly regarded potager, designed by Rosemary Verey. From here we travel on to Blatherwycke, where a four acre walled garden is being recreated. This was a derelict site 5 years ago and the head gardener will talk to us about this restoration project. A large kitchen garden, well trained fruit trees and extensive herbaceous borders are just some of the areas well underway. It even has a crinkle-crankle wall similar to that at Dean’s Court, Wimborne. Here we shall enjoy our first tea/coffee and cake of the holiday. We then make our way to the hotel. Our evening meal will be a carvery in the hotel restaurant. We explore Nottinghamshire at Andrew Ward's Norwell Nursery and Gardens, with national collections of Hardy Chrysanthemums and recently acquired Astrantia. Andrew has spoken to the Group three times, always bringing excellent plants. There will be plenty of time to enjoy the gardens and buy plants. In fact you may order in advance, and collect when we visit. Refreshments are included and will be served in ‘the pavilion’. Our lunch stop will be at the town of Southwell, which has been described as the ‘prettiest town in Nottinghamshire’ and home of the Bramley apple, where we can explore the Minster with its ‘pepper pot spires’. Here you have free time to wander or buy lunch in one of the many tea shops and cafes. We will visit two private gardens in the afternoon, first Dumbleside a 2 acre garden, with a stream bordered by water loving plants, herbaceous beds and a sunny raised bed for alpines and small plants – a true plantsman’s garden in a wonderful setting. Then we move on to the imaginative and inspirational garden, Riseholme, in Radcliffe on Trent. It is smaller than the other gardens but we felt that it had so much to offer, it was one “not to miss”. In addition the owner propagates all her own plants on sale. Refreshments will be included at the first garden only as we would not want you to spoil your dinner later on. The Group Dinner will then be served back at the hotel on the second evening. Today we visit Leicestershire and Rutland with two quite different Old Vicarage gardens, one in Whissendine, in the morning, the other in Burley in the afternoon. Tea or Coffee with cake will be served at both of the gardens; the former will be served in the Lady Chapel of the Church next door (which you may wish to wander around) whilst the other will be in the garden itself. The Burley garden should also have many plants for sale, propagated by the owners. In between these delights we shall visit Geoff Hamilton’s famous Barnsdale Gardens and Nursery. Here you may explore the 39 gardens, an extensive nursery and buy a light lunch and drinks. This evening we plan to have dinner whilst we are out, eating at The Finch’s Arms overlooking Rutland Water, before returning to the hotel mid evening. If we have adequate time, and sufficient people are interested, we may be able to organise some time to go closer to the Water to see what wildlife is about. This will be discussed on the coach during the holiday. Our last day starts with a visit to the Old Rectory, Quinton. This beautiful contemporary 3 acre garden was designed by Anoushka Feiler. She has taken elements of its 18th Century history and given them a 21st Century twist. No refreshments or plant sales will be available here as we have left that to our final destination. Coton Manor - have we saved the best until last, like last year? A café for lunch, excellent plant sales for final shopping, together with beautiful gardens surrounding the 17th century Manor House we trust will provide a fitting end to our 9th annual Group holiday. To enable all our members to have an equal opportunity to book for the Holiday and/or Day Trips we are unable to accept bookings until 2nd January 2018. The holiday is open to Members and Non-Members alike, with Non-Members paying an additional £20 supplement. The Booking Form, together with the Terms and Conditions of Booking, may be accessed by clicking on the button below. You then need to print and complete it, then post/deliver it to Angela Edwards, whose details are on the Booking Form, with your cheque for the deposit of £50 per head. Please note that the prices quoted in our annual magazine were initially transposed, but this booking form is correct. Due to the mix up over the price, could I please ask that you accompany your Holiday Booking Form with a brief note acknowledging the correct price when posting it to Angela. Thank you.